the hotel had everything. 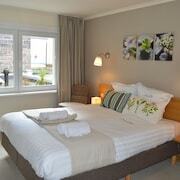 bath shower and toilet ensuite.the rooms were cleaned twice daily and the reception staff were extremerly helpfull. it wa a 5 minute walk from lille centre. The staff are friendly and the room was clean although it was a little small. Loved the art in the rooms and mix of modern and classic look. 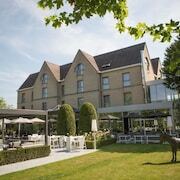 Where to find Ypres hotels near an airport? Where can I find hotels in Ypres that are near tourist attractions? 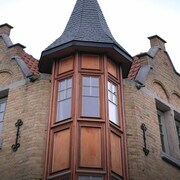 Visitors are spoiled for choice when it comes to securing quality lodgings in Ypres. Expedia has 24 hotels and apartments within 0.1 kilometres (0.06 miles) of Ypres' central area. An essential ingredient to hassle-free travel is booking a room that's close to the action, so check out the Main Street Hotel and Apartment Froidure, which are located within 1 kilometre (0.6 miles) of Ypres' heart. Ieper, a popular Ypres hotel area with 17 Expedia hotels is 0.2 kilometres (0.1 miles) from downtown. 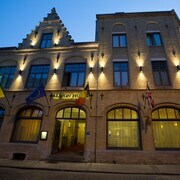 The Albertushof and Alliance Hotel Ieper Centrum are amongst the accommodations in Ieper. Those traveling on a budget will be happy to find that there is a nice selection of cheaper places to stay in the vicinity of Ypres. The Best Western Flanders Lodge is 2 kilometres (1 mile) from downtown, while the Novotel Ieper Centrum Flanders Fields is 0.2 kilometres (0.1 miles) away. Different budget accommodation options include the B&B Demi Lune and the Hotel Kookaburra. The Couvent des Minimes is positioned 25 kilometres (16 miles) away from the middle of Ypres. Another hotel is the Hôtel Barrière Lille, which is situated 25 kilometres (17 miles) away. Two other Expedia-registered hotels are the Hôtel des Acacias Lille Tourcoing and the L'Hermitage Gantois, Autograph Collection. Kortrijk is 25 kilometres (17 miles) to the east of Ypres and is where you'll find K in Kortrijk and Kortrijk Beguinage. The Hotel Messeyne and Wu Wei are some of the Expedia-recommended short and long-stay alternatives in Kortrijk. 40 kilometres (26 miles) to the north of Ypres, you'll also find Ostend, home to the Alpha Hotel and Europe Hotel. The Church of Saint Peter and Saint Paul and The Mercator are a couple of the more popular attractions to experience for those visiting Ostend. If enjoying sport is a favourite pastime, make the time to visit Constant Vanden Stock Stadium, which is 100 kilometres (62 miles) to the east of Ypres. 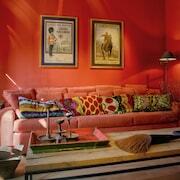 Sleep right near the action at the Be Manos Hotel or the Pullman Brussels Centre Midi. If you are planning on arriving or departing via Lesquin Airport, you may plan to book a room at Park Inn by Radisson Lille Grand Stade, or Le Domaine des Cigognes, which are both nearby. What are the most popular Ypres hotels? Are there hotels in other cities near Ypres? 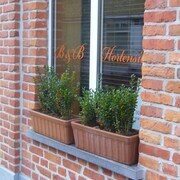 What other types of accommodations are available in Ypres? Explore Ypres with Expedia.ca’s Travel Guides to find the best flights, cars, holiday packages and more!